Stick shift scheduling. I dig it. It's too early to tell at the moment. Such a model might make scripts that depend on other scripts impractical, since if script B requires data collected or generated by script A and script B's thread is given CPU time first, it might try to access empty or nonexistent data, or have to yield to A and try again later. We're at the mercy of the scheduler here. Josh's current idea here is that scripts will read from the previous game state while building the current game state. That avoids most or all of the order dependence issues. For a game like LT, I would expect it to be varied. Josh mentioned using a system where the AI would listen for events and arrange its updates with those in mind, to keep resources free and framerate as high as possible. Such a system would have very sparse updates in open expanses with few enemies around, more updates when doing a task such as searching for ore, and even more when in the middle of combat. While riding a warp rail, you only really need check on things whenever you get to your destination, but in a dogfight, you'd need to keep the AI "thinking" constantly. As such, I don't think your question is quite applicable here, Damocles. No, my question wasn't about how often an ai processes its own cycle. Its about the basic (fixed time) logic-tick in the gameloop. The part that determines the timing. The logic tick can be super cheap, if there are no updates scheduled to be calculated. No reason to make it delay dynamically (that would just complicate matters). Its useful to have the same number of updates (ticks) per second, no matter how the render speed per frame is. Having a fixed number of updates per second makes lots of calculations easier, and avoid edge cases in case the performance drops too low, or gets too high. Last edited by Damocles on Mon Oct 09, 2017 9:48 am, edited 1 time in total. Ah, I see. Disregard what I said, then. I misunderstood. 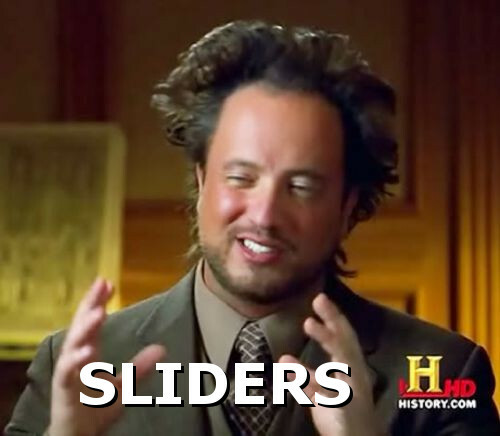 In the case of physics updates I would hope that Josh and Adam put that on a slider, so that we can adjust it for local performance. For people like me whose machine has no issue running two games at 4K 60fps at the same time (only 60 thanks to screen refresh). Then a physics update step rate of 60/s would be great. For people like Talveino, who need a new laptop, you might want to set your physics updates down to 15/s. With AI Updates, the base tick is likely to match up with the physics one, purely to allow any local AI ships to maneuver around in time with the physics updates, before a draw step. The rest of the world might update far less often than this, and might even update less than once a second, if Josh decides to be smart and add in interpolation of the ships position when it doesn't have it's model loaded in the local system. (to make it look like it is flying smoothly) If he doesn't include that, then I'd expect AI in same system, but not loaded in would update every second to give the appearance of moving smoothish. For AI outside the system, I would expect that the systems less than 3 hops away would update every 30 seconds or so, staggered out by a second each. And any systems further away than that to update once every 2-5 minutes. This would mean that each AI tick should turn out to be close enough to the same length, as to minimize any perception of slow ticks. Although the exact numbers for anything outside of the loaded in area would be up for debate, and likely controlled by fancy math. or, rather, a very lengthy scroll bar in this case. No, it's a slider, that selects which menu slider to open, so you can use that slider to select which option slider you want, and then use that slider to select how much or little of that option you want! Three Sliders to rule them all! Two Sliders to find the third! One Slider to select the them all! 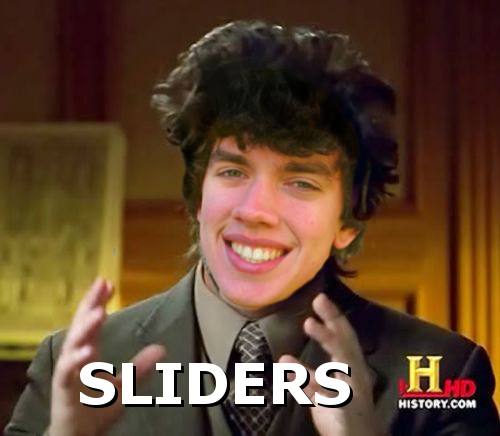 And in the sliders set them! Can we have a slider that determines the number of sliders offered? Now I want to find a pic of the office and photoshop it on the wall. In a nice frame. Well this is now my favorite thing.